“I Wish I Could Get Everyone to Stop Waiting.” June 7th, 2013. 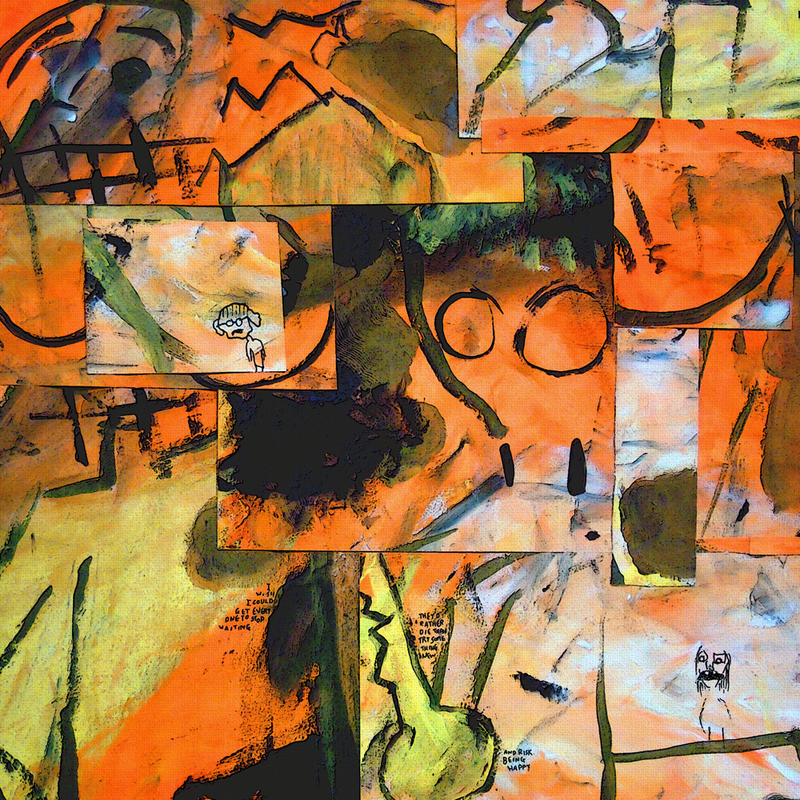 Tempera and pencil on paper, cut up and rearranged. 12×12”. This was the last piece I made in my Wednesday night “Art of Recovery” group, before moving to Jacksonville. This statement isn’t from June. I just wrote it. So I still know these things, it’s just that I’m having trouble applying them. I’m gonna give it my best shot today. A thoughtful elaboration of a song that I wrote in about ten minutes. Nailed it! That kinda makes my day. Thanks, Brett! When I got this piece, it made me think about the past 8 years and how I’ve told myself…once I graduate from undergrad/law school/pass the bar/get a job/get a promotion/gain experience so I can get a better job/move…THEN I’ll stop being destructive and start being happy. SO, what I’m ultimately trying to say is that you couldn’t have gave this one to anyone more appreciative than myself! Thank you. Anyway – thanks again, Margo!